I'd just like to ask a couple of questions if I may regarding testosterone, sexual attraction, and squats. Would you say that squats and other leg exercises are just about the best exercises to increase testosterone levels in the body? I read something like this on the internet saying that squats Increase Muscle even in the upper body due to the substantial extra testosterone increase. How do squats compare to other upper body compound exercises such as bench press and shoulder press in their effects on increasing testosterone in the body. 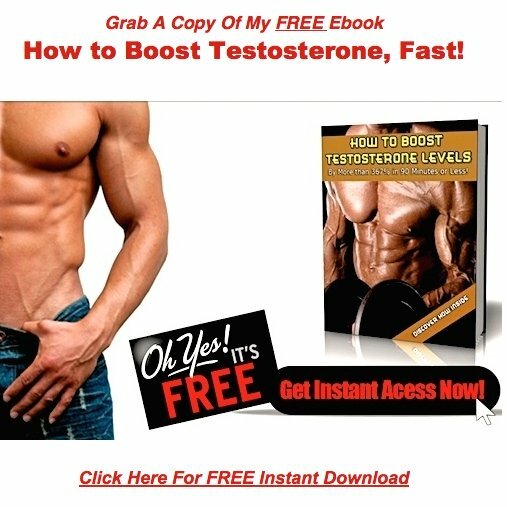 Also, could expand a little bit more on how increasing testosterone could help a guy attract girls to himself apart from the obvious benefits such as a more muscular physique. Since I have begun working out several times a week, I have noticed an increased interest in that area and I'm wondering whether there is a link or whether it's coincidence. Thanks very much Mark, every time I ask you questions through your website your answers are always spot on and exactly what I wanted to hear. Women follow some pretty strict guidelines when looking for a partner or a mate in life. And these guidelines are cast in stone, inside the genetic makeup of every single female walking the planet. In the not too distant past the very survival of a female and her offspring depended on her selection. Women who chose smart lived and spread their genes, women who didn't died off. As a result, women now demand evidence of superior genetic potential in a partner. You can't change your height or your bone structure, but you can control several other factors. Put 10 men in a room, and within a matter of minutes a social hierarchy will be firmly established. You'll have the dominant male, his right hand man, his lieutenants, and finally the beta males operating at the bottom of the food chain. 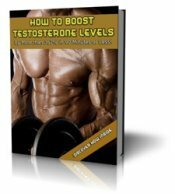 Your Testosterone levels determine where you'll fall within the spectrum. And studies have proven time and again that high ranking males are more socially attractive to women. Adult females will sexually solicit high ranking males much more often than they will low ranking males. Women find ambitious and successful men very attractive! A successful male is much more likely to provide safe shelter for a female and her offspring. And this applies weather you're talking about a cave, a hut or a 10 bedroom mansion. He'll keep food on the table as well. He will provide security, a state of mind all women crave deep down inside. I'm stating the obvious here, but testosterone is the key to all the above. When levels are high, muscle mass is high, motivation is high, and your social rank is high as well. All things women require in a partner. Get your T levels dialed in and women will be attracted to you, automatically. Yes, these are, without a doubt, the best exercise you can do to boost testosterone and other anabolic hormones. They work the core, the legs, the Abs, and the upper body. The more muscle fibers you recruit during any exercise, the higher the hormonal payoff. You can't do squats every day of the week! So combine them with other compound exercises like deadlifts, military press, and bench press. Throw in some wind sprints, and speed work on the jump rope to round out your routines. Do so, and you'll have designed yourself a very fine exercise plan, indeed!